The Tale of Rodney Ram is shortlisted for the Golden Dragon Book Awards 2016! 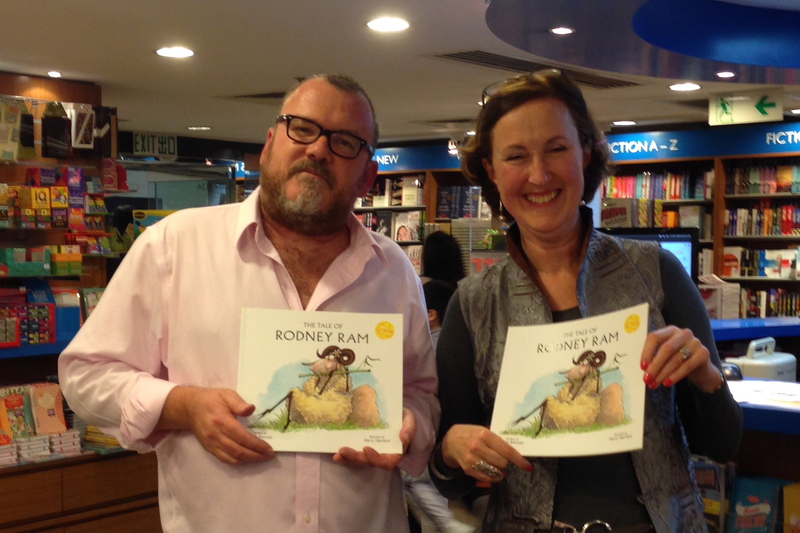 Harry Harrison and I are jumping for joy – and so is Rodney Ram! The Tale of Rodney Ram has just been nominated for the Golden Dragon Book Awards 2016, alongside five other very impressive contenders in the Younger Readers (8 to 11) category!! Take at look at http://www.hkgoldendragonawards.org/younger-readers-8—11.html. The nominations are made by school librarians…but the voting is done by the kids! Voting doesn’t open till March next year, but in the meantime if you love our woolly hero and his shaggy story you might like to give him a review on Goodreads so other readers can find out what you think!